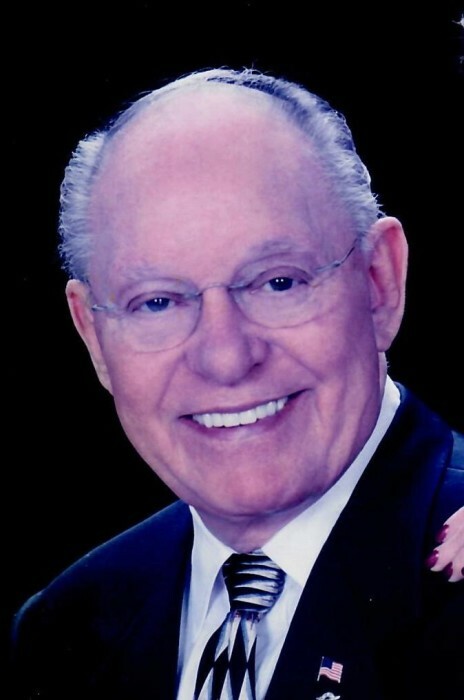 Marvin Daniel Hill Sr. of Champaign, Illinois passed away March 20, 2019 at home. He was born October 23, 1924 in Ogelthorpe County, Georgia to Enoch Amos and Florrie (Smith) Hill. His parents relocated the family to Garden City, Michigan in 1926. In 1944 Marvin joined the Canadian Army and became an infantry scout in the Algonquin Regiment during WWII. After the war he became a car salesman for Ford being transferred throughout the United States. In 1961, he bought his first dealership “Hill Ford Sales” in Fremont, Ohio which he then sold in 1969. Then owning “Hawthorne AMC Jeep” in Toledo, Ohio until 1981 and in 1982 purchasing his 3rd and last dealership “Hill Ford Sales” in Champaign, Illinois from which he retired at the age of 80. Marvin was an avid big game hunter acquiring trophy animals from around the world and being recognized by Safari Club International. He married Verna (Fish) Gilbert of Fremont, Ohio on March 3, 1973 in Toledo, Ohio. He was preceded in death by his parents and four brothers Albert “Al”, Odell “Tony", John and Chuck Hill. Marvin is survived by his 5 children Sharilyn (John) Burdett of Clyde, Ohio, Jeanette (Bill) Druckenmiller of Fremont, Ohio, Marvin Daniel (Pam) Hill, Jr. of Bozeman, Montana, Kevin (Dennie) Hill of Pemberville, Ohio, and Kimberly (Joseph) McGraw of Tazewell, Virginia. Also surviving are 10 grandchildren, 9 great-grandchildren, and 3 great-great-grandchildren. His two sisters Edna Mudry and Barbara Lantz, both of Florida, also survive. A visitation will be held at Morgan Memorial Home located at 1304 Regency Drive West, Savoy, Illinois on Saturday, March 23, 2019 from 4:00 p.m. until 6:00 p.m. A funeral service will be held at Foos Funeral Home located at 504 East McPherson Highway in Clyde, Ohio on Wednesday, March 27, 2019 at 1:00 p.m. A visitation will be held prior to the service from 11:00a.m. until 1:00 p.m. at the funeral home. Marvin will be laid to rest at Parkhurst Cemetery in Clyde, Ohio.